Media post: Did Ford Have A Makeover? Ford is an interesting car company; it tries to never become stale in its innovation and car designs. I’ve noticed in the last couple of years or so that when I do a double take on a car that’s driving by it’s usually a Ford. In fact, it’s always a Ford automobile. Whoever is in charge of engineering and model design has done some sweet magic with almost all of the Ford models including the ever-popular Explorer. The first time I saw one of the new Ford Explorers I thought it was a new European SUV that had recently landed on our shores to show us how car manufacturing should really be done. When I looked closely for the car’s logo I saw the oval Blue badge with the distinctive Ford name on it. I had to look again and again at it because my eyes wouldn’t believe what they were looking at. 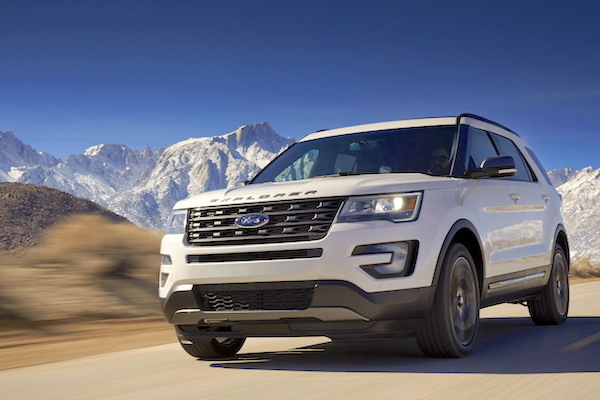 Once I was sure it was a Ford Explorer I began to change the way I thought and I realized that Ford has truly been an innovator in the industry the whole time it has been in business. It’s been over a hundred years sine Mr. Henry Ford started his company and made the most affordable cars in America because of his innovative assembly line and his cost-saving ways of keeping waste at a minimum and safety and function at the forefront. Ford has always been one of the most popular and best selling automobile brands in history. Just like the 2017 Ford Explorer is today. This SUV has plenty of power and great features that go perfectly with its good looks and sleek lines. The Explorer seats up to seven passengers and is powered by a 3/5-liter V6 engine that gets you where you need to go in comfort and on time. It has a large cargo area and a hands-free lift gate that works beautifully if your key is in your bag or pocket just by waving your foot under the rear bumper. The new Explorer also boasts power-folding second and third row seats that fold completely flat at the touch of a button. Gateway Ford has all the new Ford models including the 2017 Ford Explorer. Come and see this beautiful SUV for yourself. Guest post: Can Your Vehicle Pass an Inspection and Emissions Test? previous post: Media post: Dodge Done Right! The Durango Does It Again!